Saint Patrick’s Day is in honor of Saint Patrick, the patron saint of Ireland on March 17 the day of his death in 461 AD. 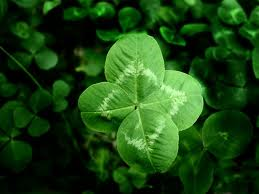 Today, it celebrates the heritage and the Irish culture in general all over the world. Here is an interesting fact you may not have known, the original color of St Patrick’s Day was blue but, later changed to green. Here in Second Life Saint Patrick's Day is observed in many ways. From parties to events and even a themed town, usually celebrations are held earlier than the actual date of the holiday. Here are a few places that really get into this holiday’s spirit. This town has many Saint Patrick’s Day themed items to try out. You can dance with a Leprechaun or fly with coins. They have some wonderful items for sale to make the holiday even better. This is a must see! One event I found is “The Dubliners Concerti it is located at london city. it will be held on March 15, 2014 at 12:30 pm SLT>The host is Toric Rodas. Get ready for some great music with the Dubliners. Another event you can observe is at Boomar Island on March 15th at 12:15pm Slt. it is presented by “CF University” eNJOY SOME St. Patrick’s Day music by Only Half Crazy Gumbo Live! Don’t forget to wear your green. No St. Patrick’s Day Celebration would be complete without a visit to The blarney Stone Irish Pub. It has a friendly atmosphere and great live entertainment. This Place doesn’t just celebrate once a year, this is an all year round Irish gig. These are just a few that I found but there are many more St Patrick's Day themed parties and events to choose from. Aside from Celebrations. there are shopping locations for decor and holiday themed clothes as well. With only days to spare, I decided to share some great shops that offer these last minute decorations. This shop is located at mordus hall. It is a small but cute store. They have signs and hats and even a giant rainbow. You Might find a pot of gold at the end if you look hard enough! decor including other holiday items, such as balloons,flags and much more! The name says it all. THis market is located at the Golden Business Area. They Have home decor and even themed clothing. You will definitely find what you need here. 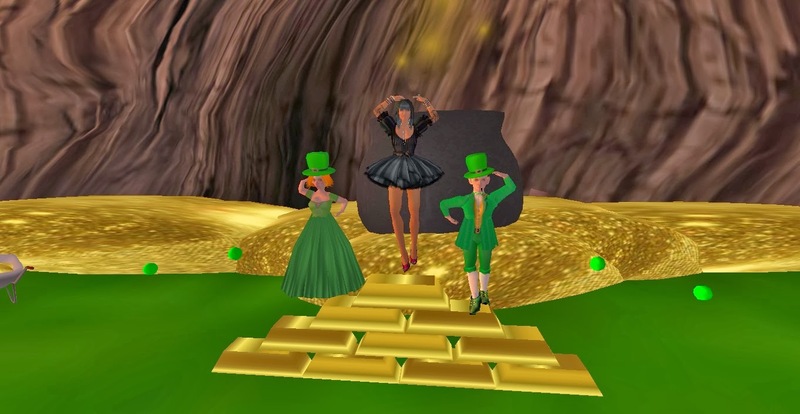 Celebrating St Patrick’s Day in Second Life can be a lot of fun even if you’re not Irish.